I think I’ve been insulted. 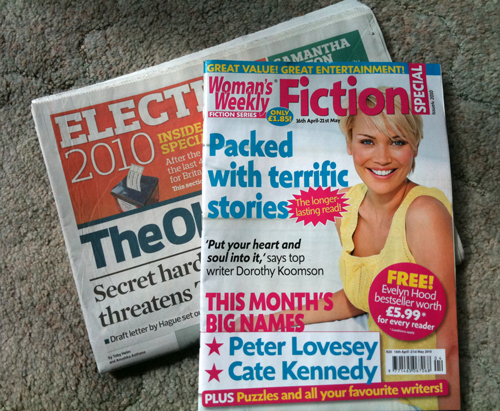 I went down to buy the paper in the local shop this morning and bought The Observer and the Woman’s Weekly Fiction Special, as shown in the photo. But it’s not the only thing I read. So when the woman in the shop asked – His reading and your reading? – I was rather taken aback. Do I really look as if I’m incapable of reading a broadsheet newspaper? I think I’d rather read a new Peter Lovesey story in Woman’s Weekly than anything I’m likely to find in The Observer, and I was certainly male last time anybody looked, so perhaps I’d confuse the newsagent too[*]. I did stay up until 4am watching the Election coverage, but that was only because I had some stockings to darn urgently. [*]But not with the author. I don’t know Peter Lovesey – at least not yet – but the WW fiction special has printed some good classical fiction. As for the Observer, well, there’s a limit to what’s available in the local shop and we like something with a doable crossword. 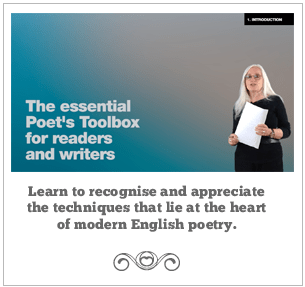 Carnally speaking, I don’t know Peter Lovesey either – whatever the gutter press may claim. The best crosswords are, of course, the dartboard-shaped ones in /The Spectator/. Rumours that Peter Lovesey and I are negotiating a coalition in order to squeeze the poor until their pips squeak are somewhat exaggerated. I don’t often read the gutter press, despite rumours to the contrary.